Positioning Michigan as the Midwest Hub For High-Growth Women Entrepreneurs. inGAGE™ is Inforum’s strategy to position Michigan as the Midwest hub for high-growth women entrepreneurs. 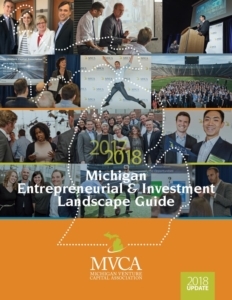 The approach delivers programs to increase the number of women angel investors in Michigan; provides women access to our network of investors and advisers, guides women through the process of commercializing technology and assists emerging second-stage companies in identifying and seizing new market opportunities enabling them to scale. Provides a confidential peer-to-peer founders forum where emerging second-stage entrepreneurs assess their companies operations, management, finances and personnel to examine strengths and challenges. Through this process, participants will identify and formulate innovative strategies to realize new opportunities. Creates a supportive community of women entrepreneurs. This quarterly event series connects emerging and experienced entrepreneurs with inspiring founders and investors – women who have made the leap to pursue their dreams and forge their own futures. This forum will strengthen professional networks, foster collaboration, and cultivate new opportunities. Since the 2012 launch of inGAGE™, 101 women have participated in Inforum’s entrepreneurial programs; those women have incorporated 42 new companies, created 395 jobs, and been granted 36 patents. Additionally, inGAGE™ supported women founders have raised over $52.2M in new capital and over $13M in government contracts. inGAGE™ Master Class provides a confidential peer-to-peer forum where emerging second-stage entrepreneurs assess their company’s operations, management, finances and personnel to examine strengths and challenges. Through this process, participants will identify and formulate innovative strategies and realize new opportunities. Directory: This interactive tool helps you chart a personalized course to discover the organizations that can best assist you. Return to it often as your needs evolve and the community of support organizations grows. 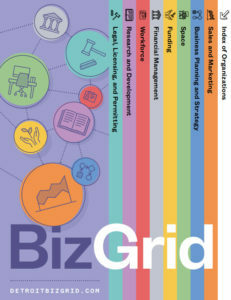 Infographic: The BizGrid is also available as a physical infographic that can be downloaded or picked up at various entrepreneurial hotspots throughout the city. Its crisp, simple design enables you to find names and contact information for assistance organizations based on your business stage and needs. While the infographic has the advantage of laying the information out on one page, be sure to check the directory for the most current and comprehensive list of resources.